Lovely square blank notecard featuring a print of an original ink and colored pencil drawing. 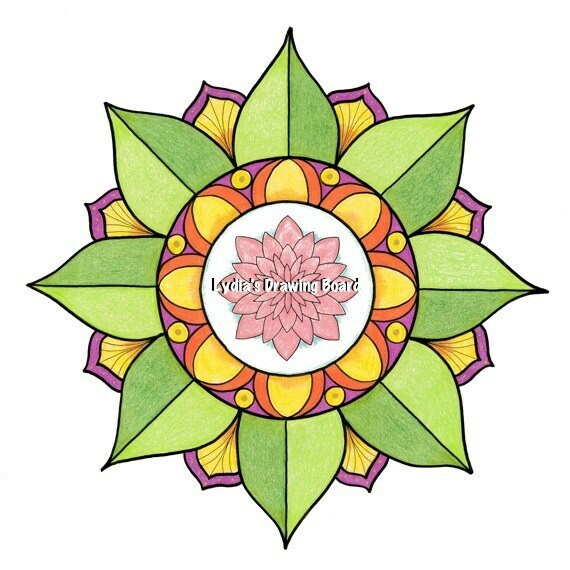 This mandala with a lotus in the center includes hand-applied metallic gold ink accents. The size is 5 1/4" x 5 1/4", printed by the artist at her home on quality white matte notecard using an Epson Stylus Pro 3880 and Epson UltraChromeK3 archival inks. Comes with matching envelope. Signed and suitable for framing. The watermark will not appear on the card.